Peter Stankiewicz studied Horticultural Science under Dr. Alex Shigo, Chief Scientist for the USDA Forest Service. 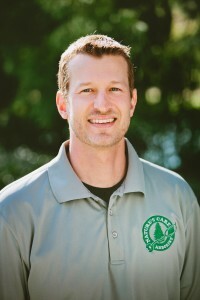 His education and experience make him highly qualified to provide customized tree and shrub management services to residential and business property owners in the Philadelphia suburbs. Up against Peter’s expertise, insects and disease can’t survive. Instead, you’ll see the beauty and health of your landscape improve remarkably. By taking advantage of Nature Care’s horticultural consulting, you’ll benefit from Peter’s strategic strengths. He’ll work with you to design a long-term plan for the overall improvement of your property’s visual appeal and its value. If you’re building a home or commercial building, or considering buying, Peter can advise you on how to plant trees effectively, or preserve valuable trees. Peter is passionate about his work. As a professional arborist, he stays up-to-date on the most current arboricultural science. He is also an artist. With an eye to perfection, if he climbs down from a tree and sees one branch that isn’t quite right, he’ll climb right back up to correct it. When Peter isn’t working outdoors, he enjoys trekking out further into the woods to hike and snow shoe.